After launching revamped versions of the Moto X and Moto G earlier this year, Lenovo-owned Motorola is rolling out an updated Moto E smartphone this September. Don't expect a reimagining of the wheel, though: The Moto E3 is a slight upgrade from last year’s modestly-priced 4.5-inch version. The new device features a 5-inch display with 1280-by-720 resolution, an unnamed quad-core processor, and a 2,800 mAh battery, as reported earlier by several news sites, including Pocket-lint. There’s no word on internal storage, but the device will come with microSD card support yet again. The 2015 model offered 8GB of onboard storage and a microSD slot that supported up to a further 32GB. Lenovo's staying mum about most other details. 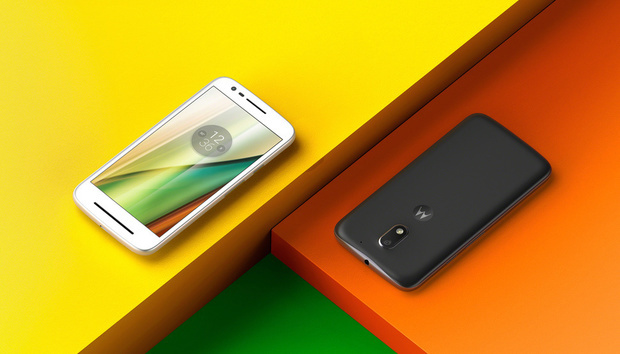 The third-gen Moto E will come with Android 6 Marshmallow, an 8 mega-pixel rear camera, and a 5MP camera on the front. The cameras are upgrades from the 2015 model's, but they still appear to be modest at best. In our review of the 2015 Moto E we hated the camera, which worked well enough in bright sun but absolutely failed in low- or ambient-light settings. The Moto E3 will be priced at £99 (about $132) when it hits the U.K. in the fall. The company has yet to announce a U.S. release date or U.S. pricing. The 2015 version was priced at $150, which is close to what the British version set for September costs in U.S. dollars. The impact on you at home: If you’re in the market for a low-end smartphone as a primary or back up device, it may be worth it to wait and see if the third-gen Moto E hits U.S. shores later this year. While the Moto E hasn’t been a standout in the camera department it does cover most other smartphone needs, and the display is a nice size with a decent resolution.